The 2019 New Hampshire DI Swimming and Diving State Championships took place on Feb. 9 at the University of New Hampshire’s Swasey Pool in Durham, N.H.
Bishop Guertin senior Matthew Lashua highlighted the meet with a state-record performance in the 200 free. He led Bishop Guertin to a dominant showing where they won every swimming event en route to achieving the overall team title with 321 points. Exeter won the girls’ championship crown, also with a score of 321. Exeter began their winning ways as the 4×50 medley relay team of Mackenzie Patch (26.88), Hannah Lord (31.34), Kaelyn Patch (27.21) and Erin Madden (25.82) opened up scoring with a combined time of 1:51.25. Shortly after helping her team to relay gold, Lord was back in the pool to take the top spot in the 200 free with a time of 1:55.56. Manchester Central’s Allison Gowern also snuck under two-minutes in 1:58.55 for second. Lord then dropped almost 18 seconds from her prelims time to win the 500 free in 5:07.64. M. Patch gave Exeter another gold after flying to the top of the podium in the 100 fly, getting her hands to the wall the fastest in 1:00.80. She was also the only swimmer in the field under the minute-marker in the 100 back, taking gold in 59.43. Bedford’s Megan Leyden dominated the 200 IM, winning the event by 10 seconds and dropping eight seconds from her morning swim with a final time of 2:08.22. She later went on to win the 100 free by over two seconds in 53.13. 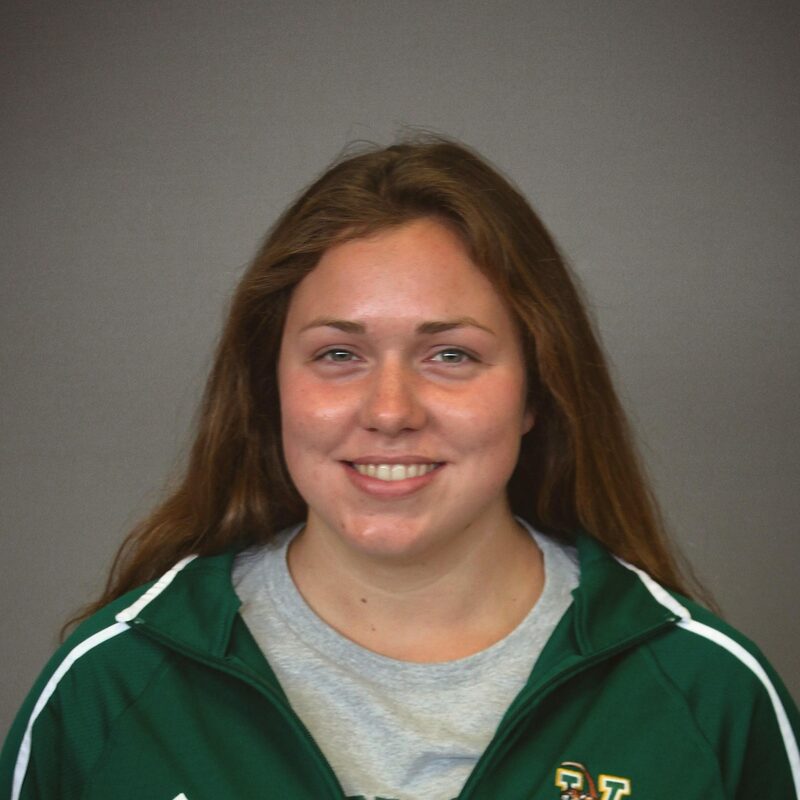 Bishop Guertin’s Wilma Johansson splashed-and-dashed her way to the state title in the 50 free, clocking in at 25.67. Sydney Leyden of Bedford got her hands to the wall in 1:09.22 for first in the 100 breast. Bedford’s Isabelle Tagliaferro (25.57), Sydney Richardson (26.31), Brooke Gould (26.39) and Leyden (25.44) finished two seconds ahead of the competition in the 4×50 free relay, posting a final time of 1:43.71. Alvirne’s Skyler Bomba dove to first place on the 1-meter board with a final score of 372.35. Exeter secured their team title as the team of Madden (56.24), Eleanor Sullivan (56.73), Lord (54.17) and M. Patch (56.17) won the 4×100 free relay in 3:443.31. Bishop Guertin got the boys’ meet off to a fast start as the 4×50 medley relay squad of Jack Januario (25.11), Aidan Daudier (27.60), Matthew Rantala (23.43) and John Puksta (21.81) won in 1:37.95, inches off the 2017 state record of 1:37.28. Not too long after, Daudier dove back in the water to win the 200 IM by six seconds in 1:57.37 as the only swimmer in the field under the two-minute barrier. Puksta got his hands to the wall first in the 100 breast with a time of 1:00.09. Lashua stole the show in the 200 free as he threw down a new lifetime best of 1:40.13 to crush the previous New Hampshire state record of 1:43.54 set by Steve Miller in 2005. He also flew to the top spot in the 100 fly touching the wall in 50.90, just off the state mark of 50.75. Matthew Crane of Bishop Guertin sprinted his way to the top in the 50 free, stopping the clock in a quick 21.72. Puksta won the 100 free in 47.59, followed by his teammate Crane (48.39) as the only athletes under that 50-second barrier. Jack Januario gave Bishop Guertin yet another victory, this time winning the 500 free by 10 seconds in a final time of 4:38.14. He also earned the gold medal in the 100 back after hitting the wall with a time of 52.83. Bedford’s Alexander Beekman took the top spot on the 1-meter board after posting a final score of 321.40. Lashua (21.72), Ivan Dodor (22.47), Crane (22.03) and Puksta (21.62) won the 4×50 free relay in 1:27.84, again coming within inches of the state record of 1:27.76. Lashua (47.24), Rantala (48.21), Connor Donoghue (52.03) and Daudier (48.91) concluded the meet as victors in the 4×100 free relay (3:16.39).